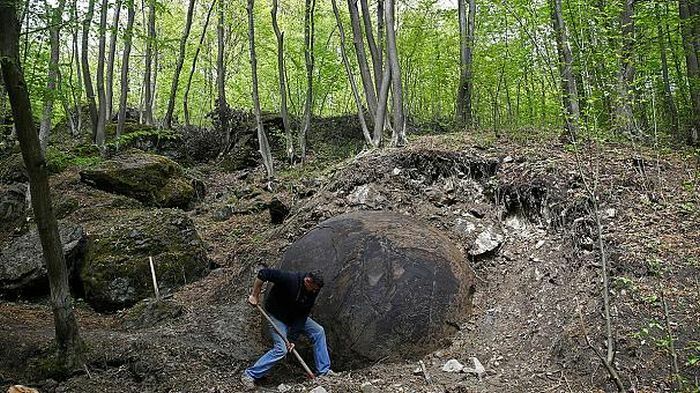 Last month a huge stone ball was discovered in the Podubravlje forest in Bosnia and scientists can't seem to figure it out. The color suggests that the ball is partially made up of iron but other than that the scientists are stumped as to where it came from or what its purpose is. 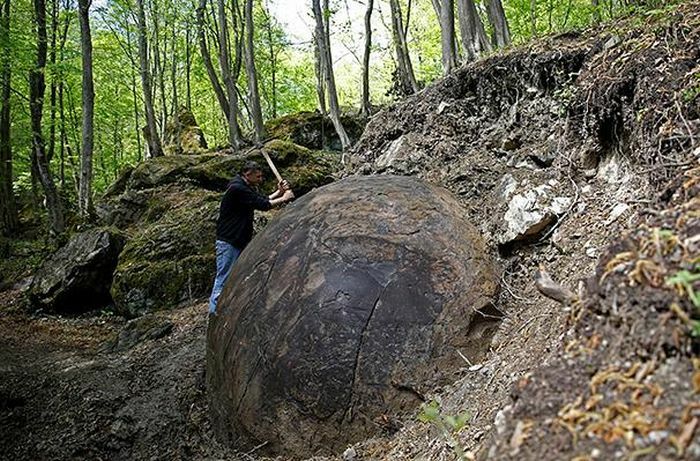 First Bosnian stone balls were found near Banja Luka, during last 10 years the dozens of stones balls were found in all parts of Bosnia and Herzegovina. Stone sphere of Ponikve weights four tons. 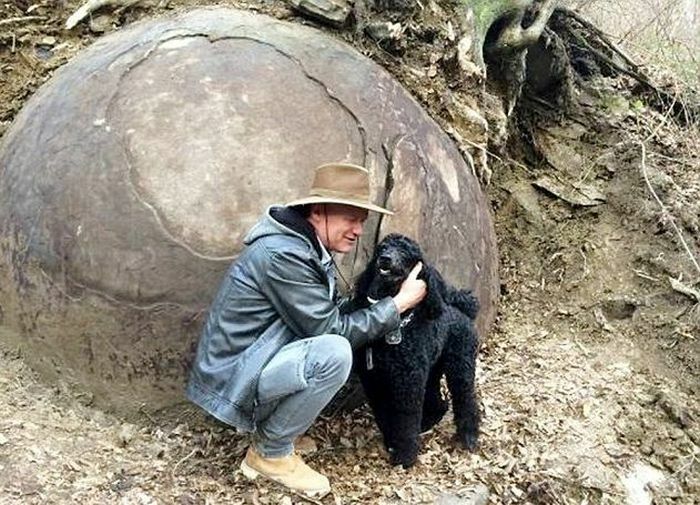 In the village Zlokuce near town Kakaji local people have been using the stone spheres for their magical and medicine purposes for centuries. The main location of the spheres is the settlement Grab near Savidovici. 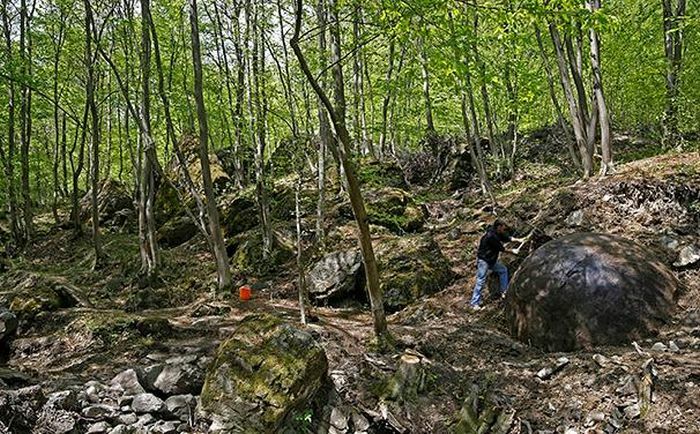 There are 15 untouched stone spheres and approximately 25 damaged and/or uncompleted spheres. The site is situated in a ravine, four spheres are lied one by one from the ancient times when they were taken there by prehistory men. 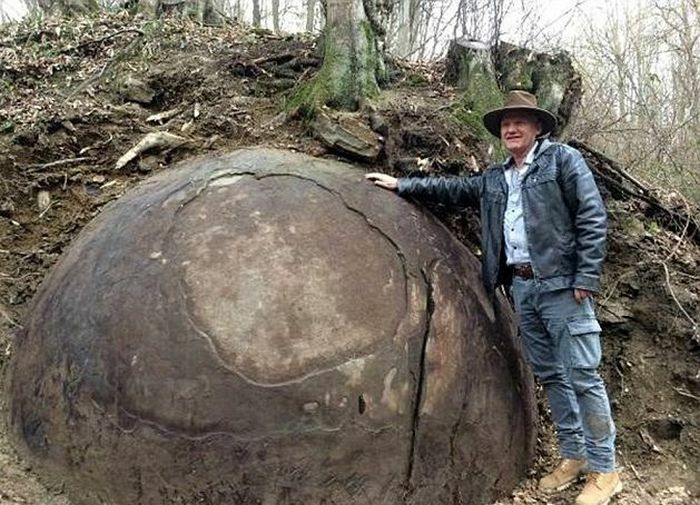 Semir Osmanigic and his team established in Savidovici the Archaeological Park Bosnian Stone Spheres for researching and protection the spheres. 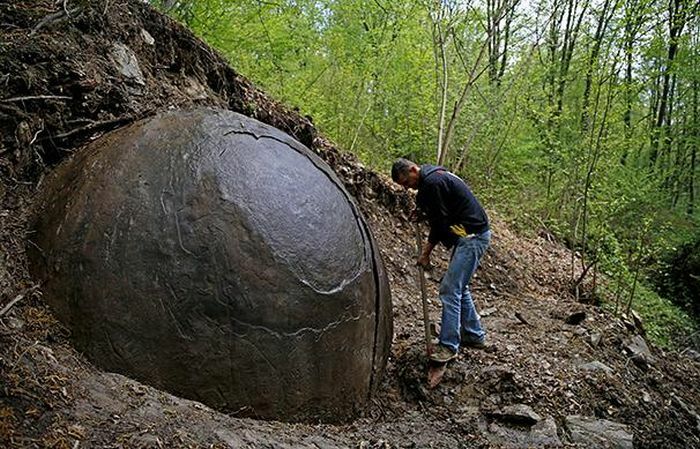 Dr. Aly Barakat, Egyptian geologist confirmed that some of the balls from Savidovici were a man-made. So I'm guessing the scientists aren't really that confused.